Last week, a letter that was sent by the U.S. Department of Housing and Urban Development (HUD) to state officials in July was finally released to the public. According to the letter, officials in Missouri were notified that the state would no longer be permitted to participate in certain federal housing programs due to noncompliance with the Fair Housing Assistance Program. The letter specifically referenced a recently enacted state law, formerly known as Senate Bill 43, which makes it much more difficult to file employment and housing discrimination lawsuits in Missouri. 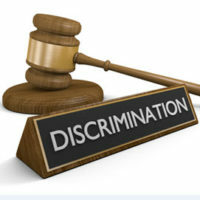 HUD noted that the state has until March 2018 to get back into compliance with federal rules, which require states to have anti-discrimination laws that are substantially similar to the Fair Housing Act. Their classification had a determinative influence on the employer’s actions. Finally, plaintiffs must establish that an employer’s action directly caused the claimed damages. This is a much higher standard than was previously required under state law, as prior to the passage of this bill, Missouri employees were only required to prove that their protected status was a contributing factor in their employer or co-worker’s conduct in order to prevail in court. Further, the new law limits damages for successful plaintiffs based on the size of the defendant’s company, narrows protections put in place for whistleblowers, and instituted a new requirement that plaintiffs involved in civil court cases involving allegations of discrimination must also file a formal complaint with the state human rights commission. Responding to both state and national backlash over the passage of the bill, HUD specifically warned Missouri officials that as a result of the passage of Senate Bill 43, state law was no longer substantially equivalent to the Fair Housing Act. As a result, Missouri is in jeopardy of losing federal funds through the Fair Housing Assistance Program. HUD also stated that it would no longer be referring discrimination complaints to the state’s human rights commission, but would require the commission to tell claimants to contact HUD directly. Finally, HUD gave officials a deadline of March 2018 to get state laws back in line with federal guidelines. Failing to do so could result in the withdrawal of up to $500,000 in federal funding. If you have questions about how the new law will affect you or you have another discrimination-related concern, please contact Saady & Saxe, P.A. Attorneys at Law at 813-909-8855 to discuss your case with an experienced and compassionate attorney in Florida. We are prepared to assist you today.